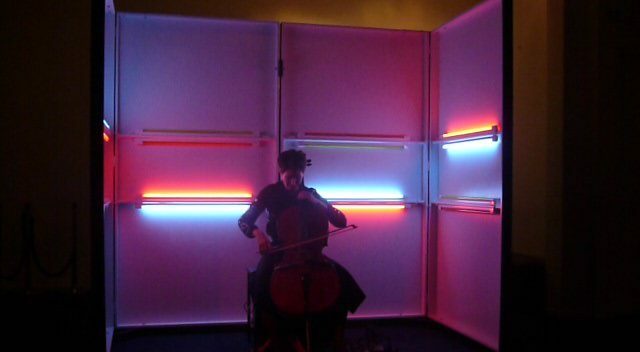 Music for Cello, voice and electronics, performed by cellist Katharina Gross, composed by Arnold Marinissen and Katharina Gross. 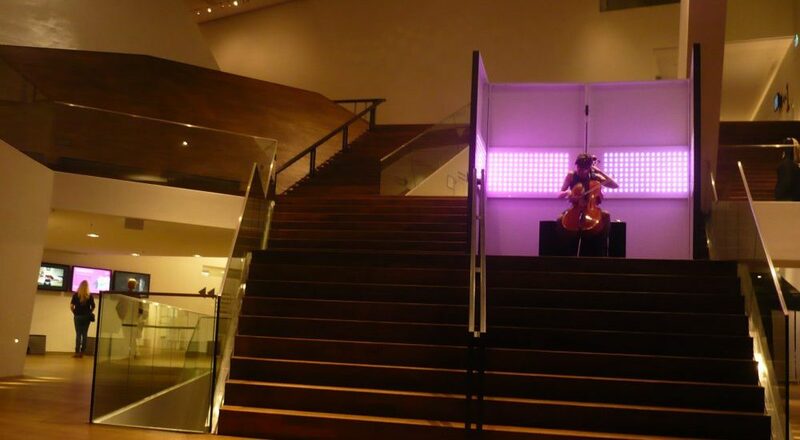 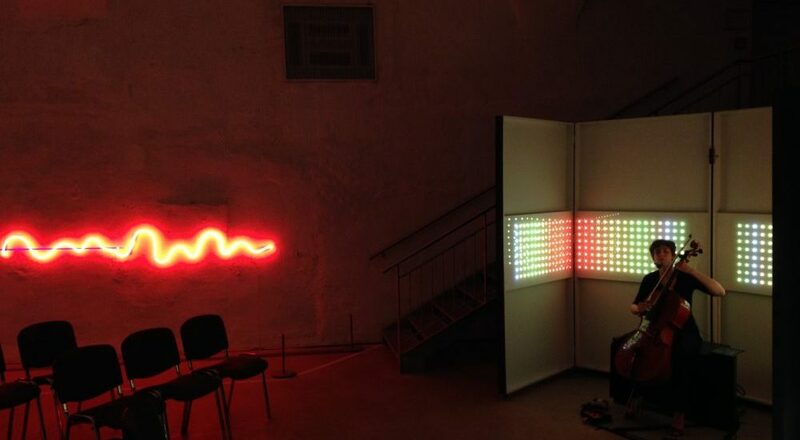 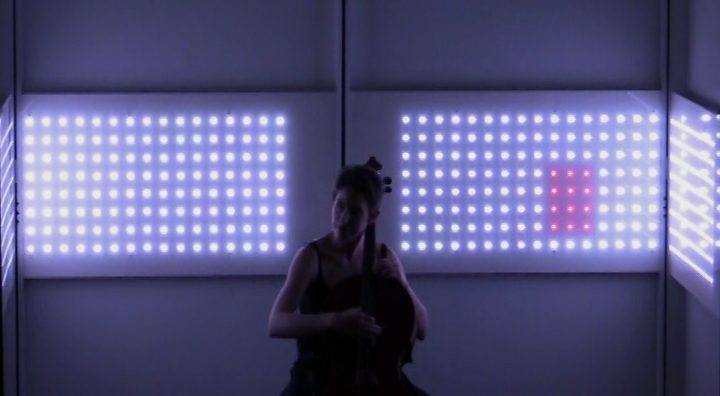 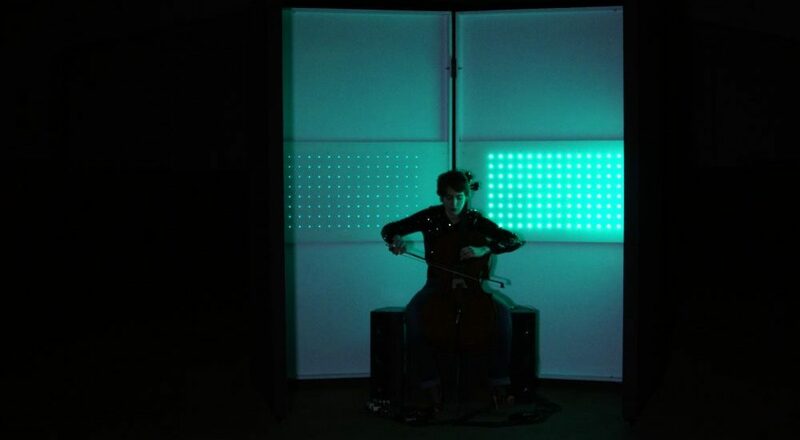 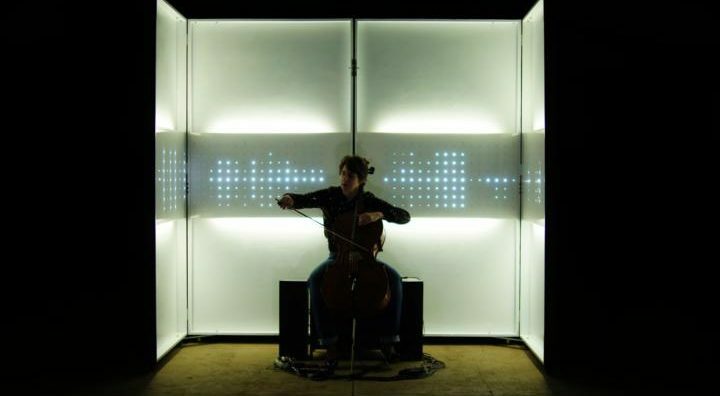 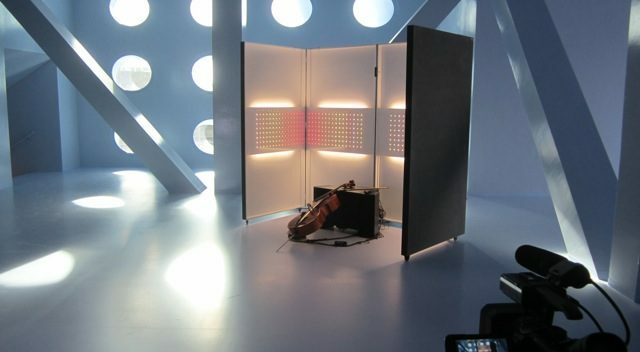 The cello box is a poetic micro-theatre with programmable LED light, and walls that open and close like wings. 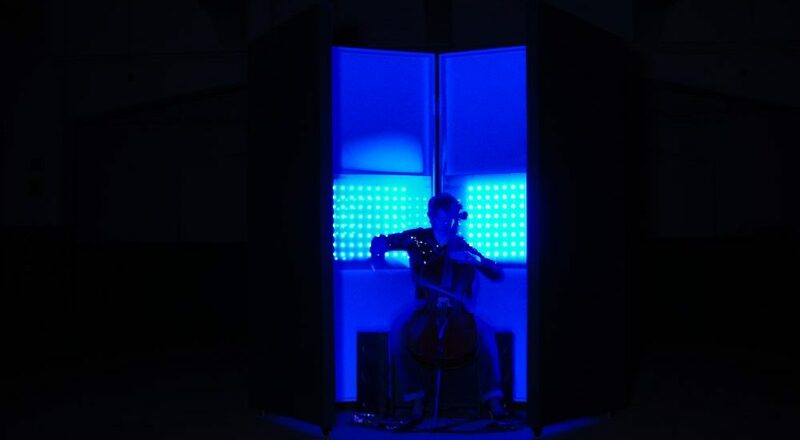 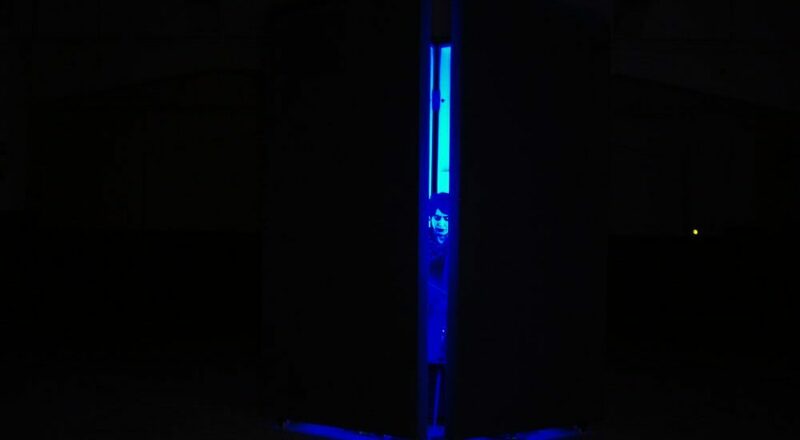 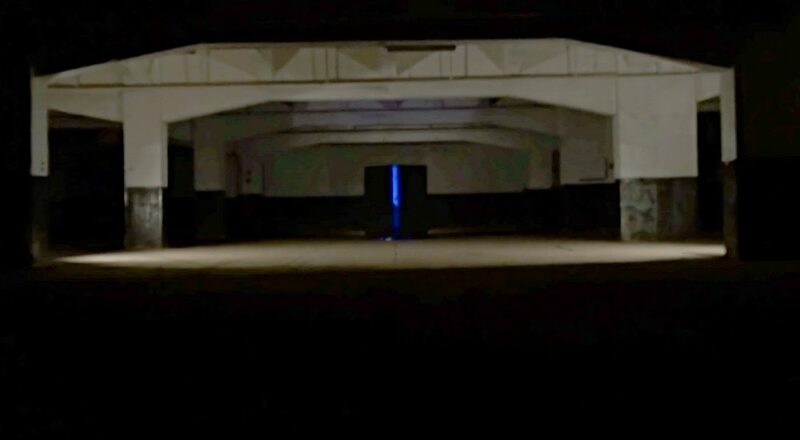 Inside this magical box, the music is joined by led light, composed for each of the songs. 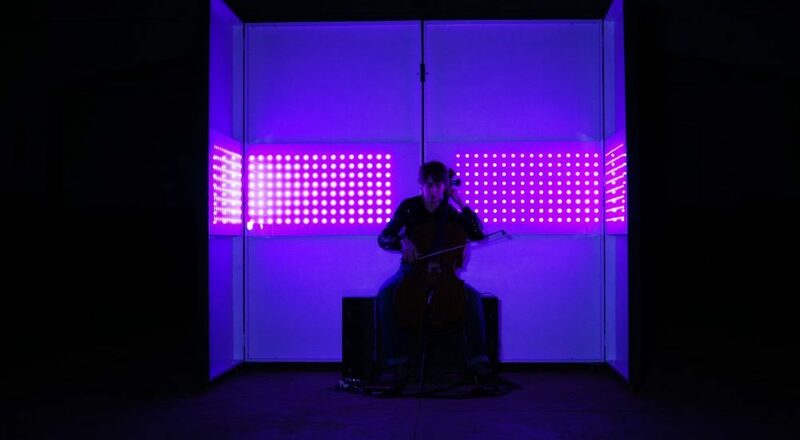 Light becomes a lively counterpart of the music. 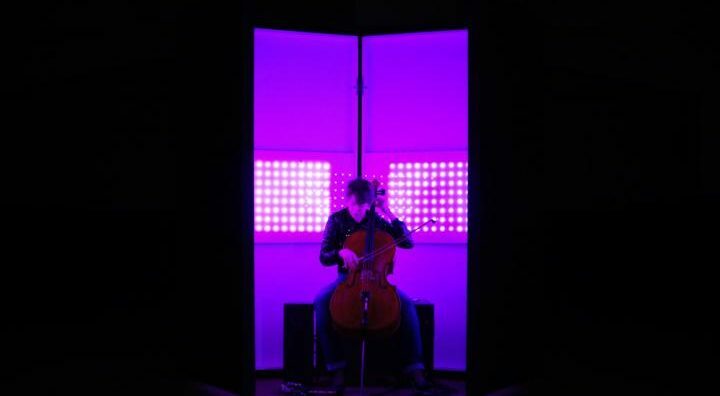 The Cello Box feels at home in theatres, concert halls, foyers, corridors, attics and basements… it is compact and very movable.